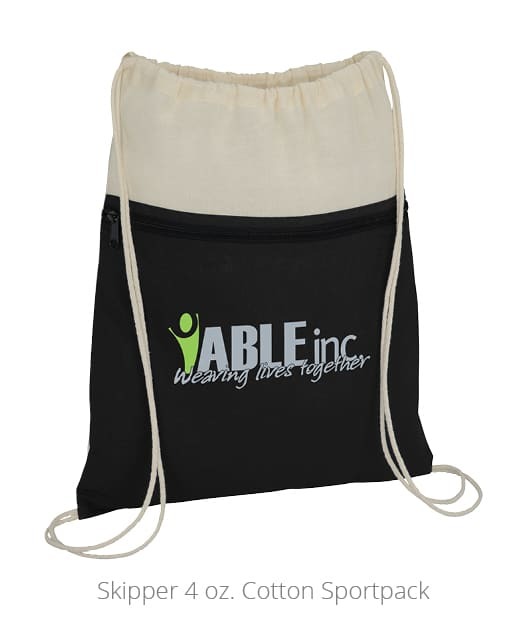 When it comes to recruiting, ABLE, Inc., has it in the bag. Rosie Jahner, a human resource and safety support team member at ABLE, Inc., does more than just offer potential employees a great sportpack. She gives them an opportunity to work alongside people with intellectual disabilities who learn valuable skills that prepare them for future employment opportunities. Create connections with useful networking gifts! ABLE, Inc., attends at least two job fairs a year. 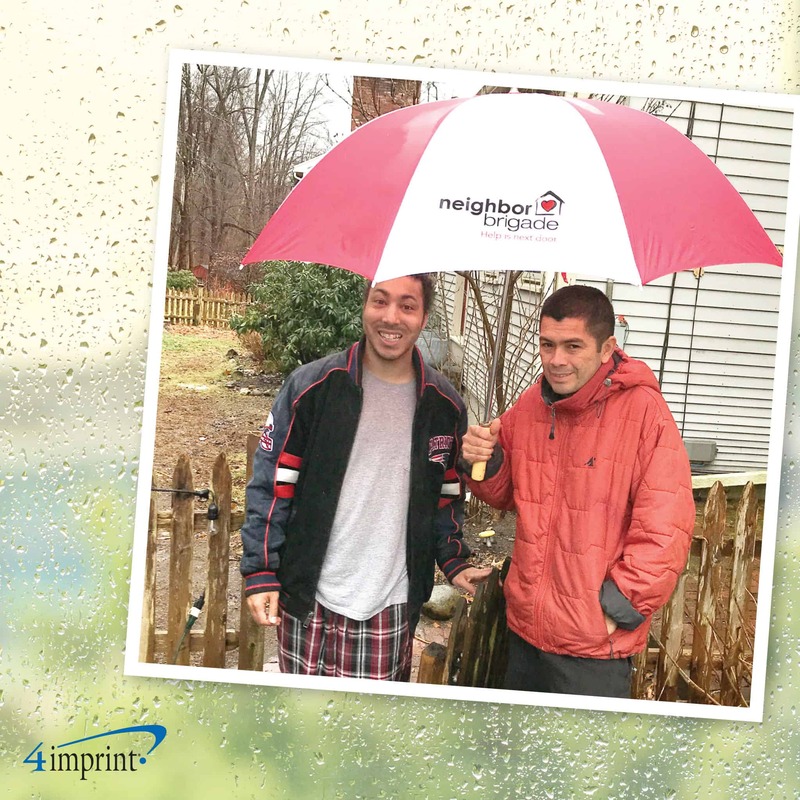 The company uses employee recruitment giveaways to start conversations and continue them later. “We’ll talk about the agency and what we do, and give them the bag, a job description, application and a business card,” Jahner said. 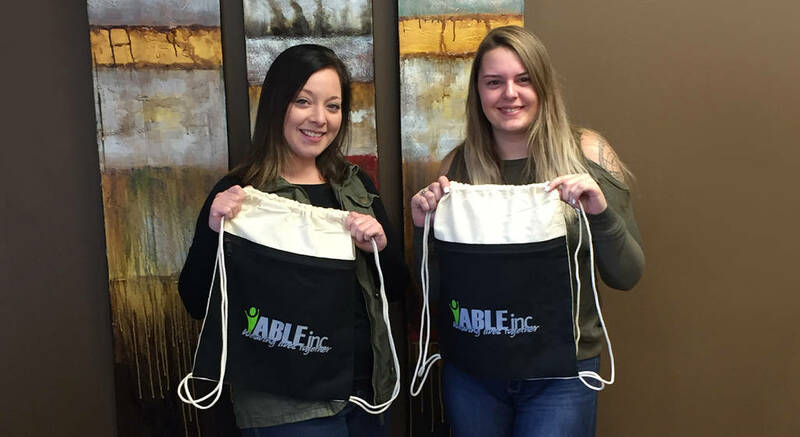 ABLE, Inc., isn’t the only company using job fairs to find new staff members. 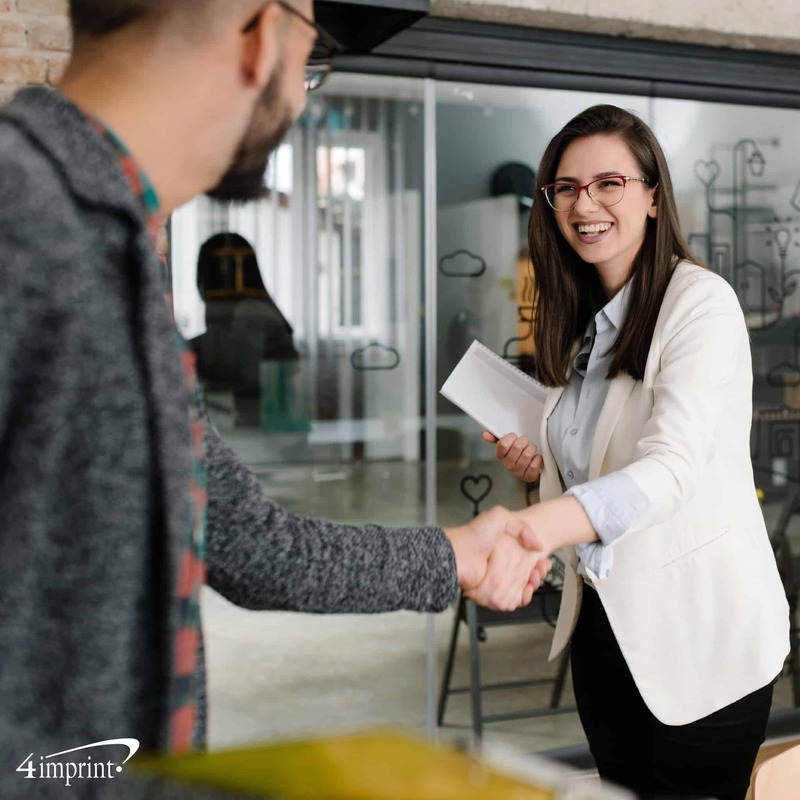 According to a recent 4imprint® survey, 65 percent of organizations use job fairs for recruiting, making it the second most-popular method of searching for new employees. Posting on online boards tops the list at 78 percent. Businesses hand out more swag at face-to-face events than at any other time in the recruitment process. With unemployment at a near 50-year low, finding qualified employees is more challenging than it’s been in decades. While digital recruiting has made it possible to reach a broader range of candidates than ever before, in-person methods are still popular—and successful. For instance, establishing employee referral programs is the second most-common recruitment method, at 65 percent, according to the survey. It’s also the most successful for 38 percent of respondents. As smartphones and tablets become more common, millennials, Gen Xers and baby boomers are more frequently using their devices to look for jobs. Online job boards, in addition to being the most popular recruitment method, were most successful for 22 percent of survey respondents, putting that method in second place. 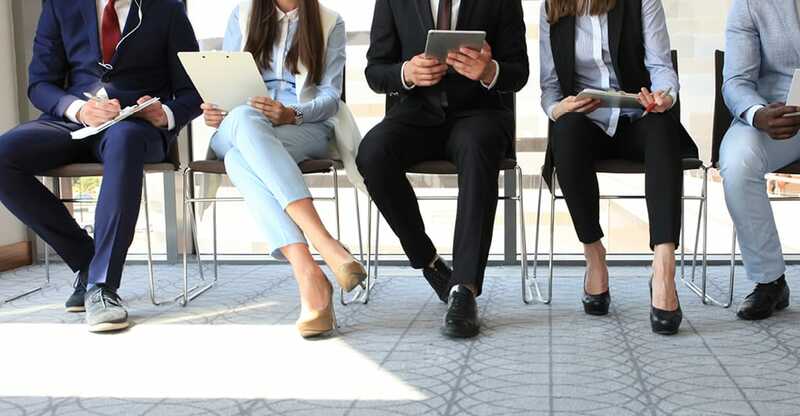 Once companies identify potential candidates, the interview process is the next major hurdle in selecting the ideal employee. Surprisingly, our survey showed the attributes evaluated during job interviews weren’t always considered the most important qualities by respondents. 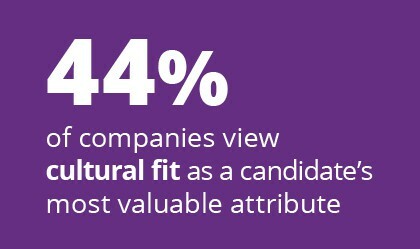 For example, while 84 percent of respondents evaluated qualification and work experience, only 75 percent evaluated cultural fit. And yet, cultural fit was viewed as the most valuable attribute at 44 percent, while qualifications were the next largest at 21 percent. 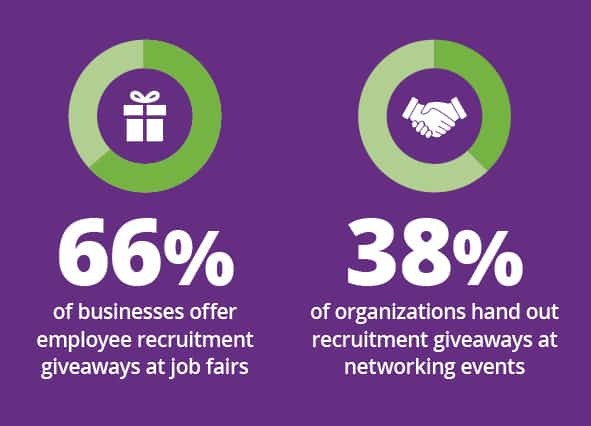 Employee recruitment giveaways aren’t used as frequently during the actual interview process. 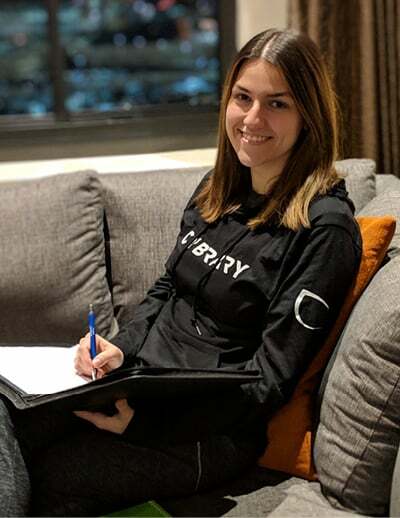 While the survey showed less than 1 in 10 organizations provided employee recruitment giveaways during an in-person interview, Tatianna Harris, director of digital marketing at Cybrary, Inc., finds success in giving company swag to candidates at every stage of recruitment. 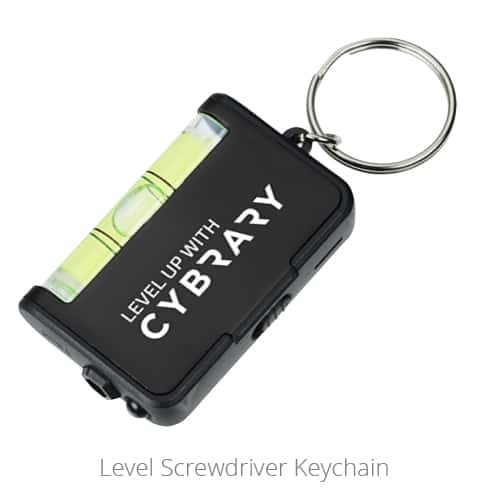 The company, which provides free online training and career development options for people in the cybersecurity industry, uses a variety of swag, like the Level Screwdriver Keychain, from the time they first meet potential candidates at trade shows all the way through to their first day on the job. Look for unique networking gifts to give potential recruits. With the cost of hiring a new employee ranging from $3,000 to $18,000, holding onto your new recruits long-term can save thousands of dollars. Studies show that a well-structured onboarding program holds the key to success. 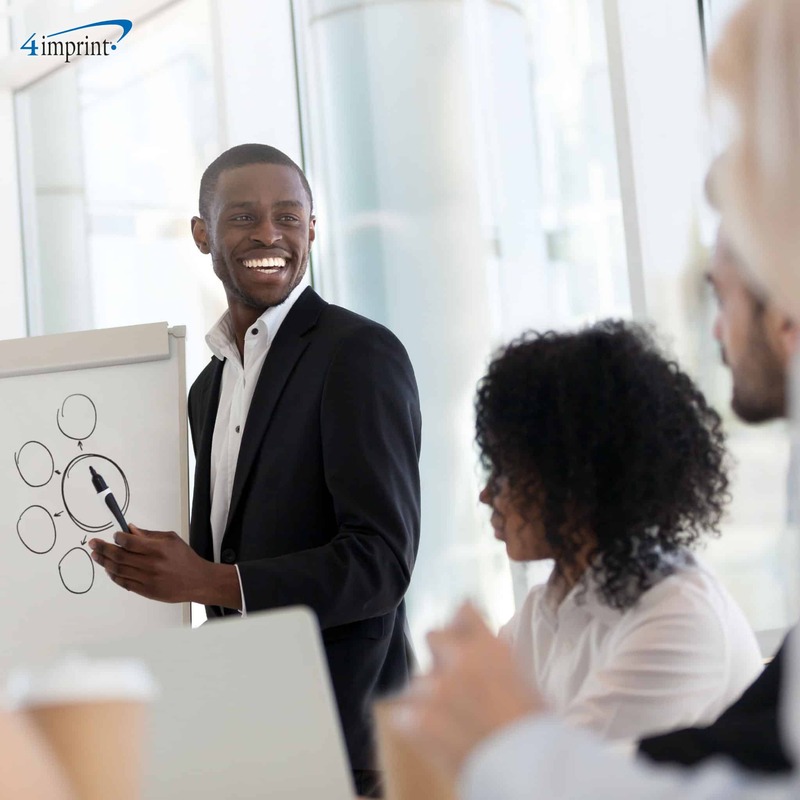 From involving new employees in networking within the company to involving senior leaders, a host of onboarding best practices are sure to get new team members off on the right foot. 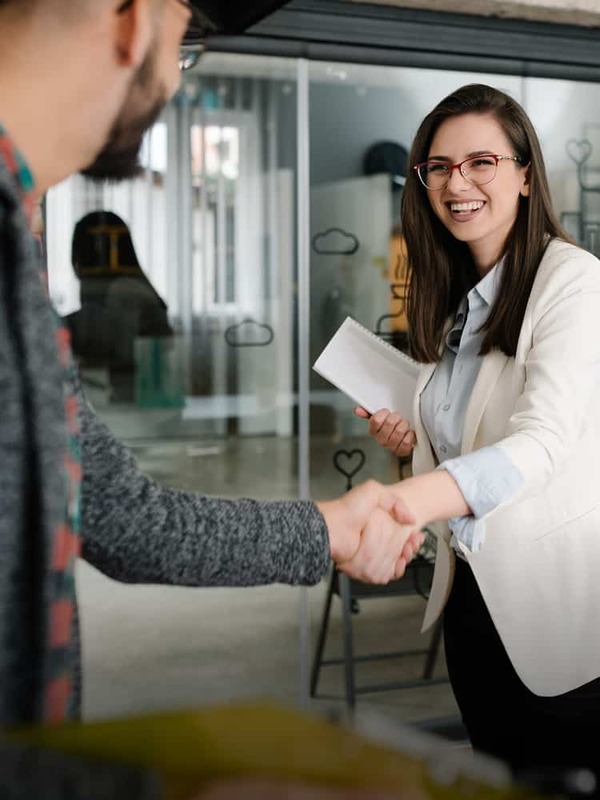 And one of the best ways to make a welcoming impression—and reduce first-day jitters—is with employee recruitment giveaways. Almost 50 percent of organizations offer promo products on the first day of employment. Cybrary, Inc., hands out several gifts for new employees on day one. 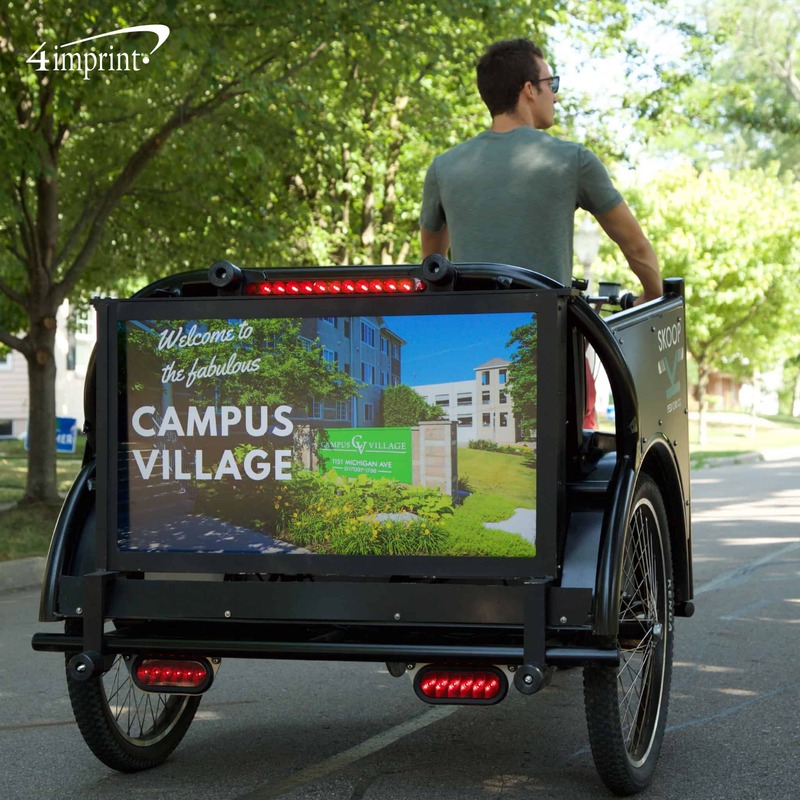 “On their first day, everyone who comes in gets a tote bag filled with brochures and whitepapers that explain what we do and what we’ve done,” Harris said. “We always try to find something functional that serves a purpose,” Harris said. “Sweatshirts that keep you warm in the office. Coffee mugs because everyone drinks coffee or tea. Stickers we can put on our laptops to show off our logo,” said Harris. 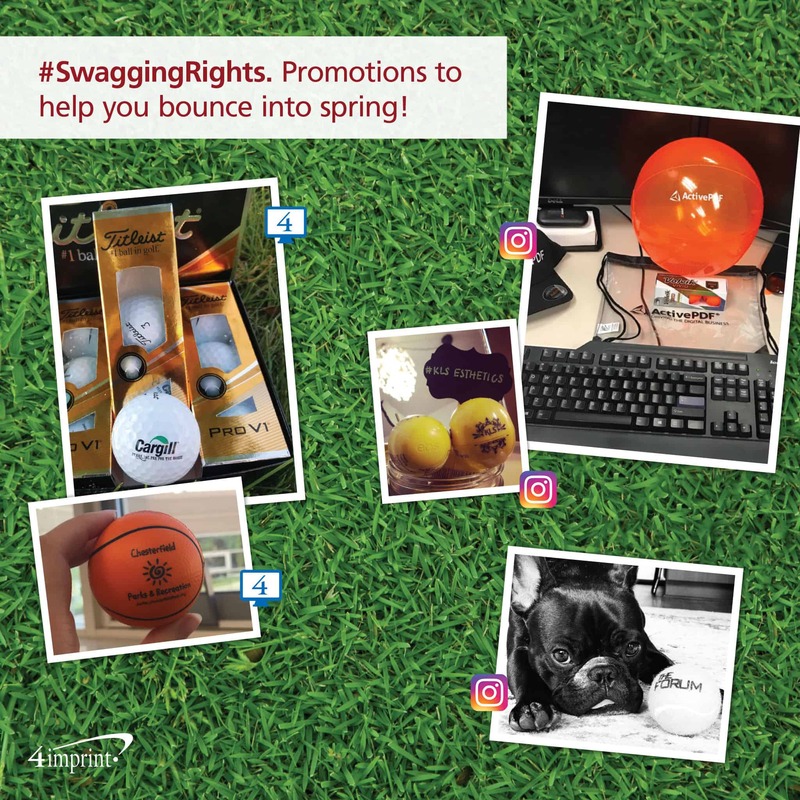 Handing out all that swag helps the company find more customers. And future employees. Companies are finding great employees every day with help from online job boards, careful evaluation and employee recruitment giveaways. It all adds up to make the recruitment process a little less challenging.